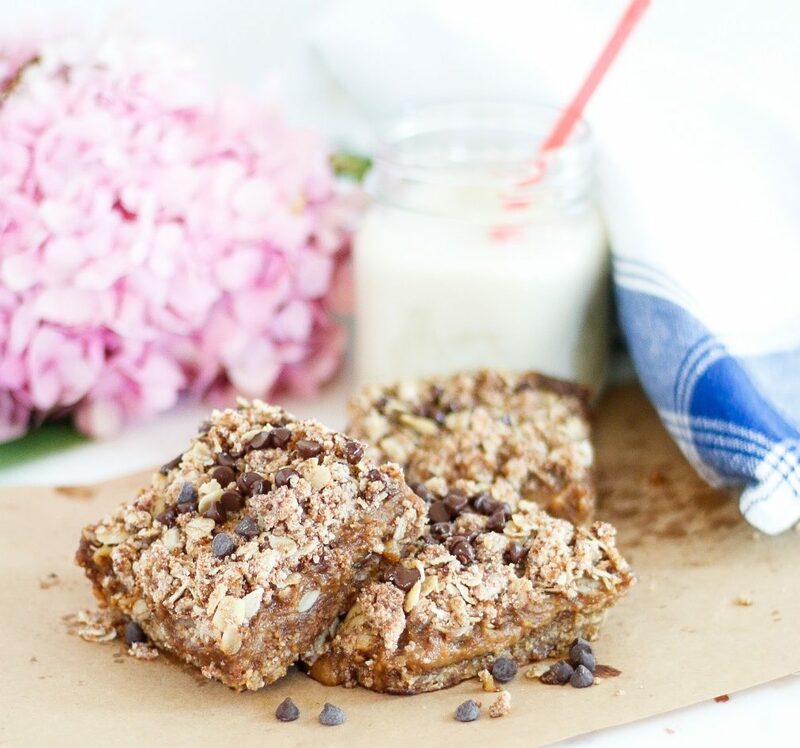 Nuts, oats, and espresso… sounds like the perfect recipe for breakfast to me! 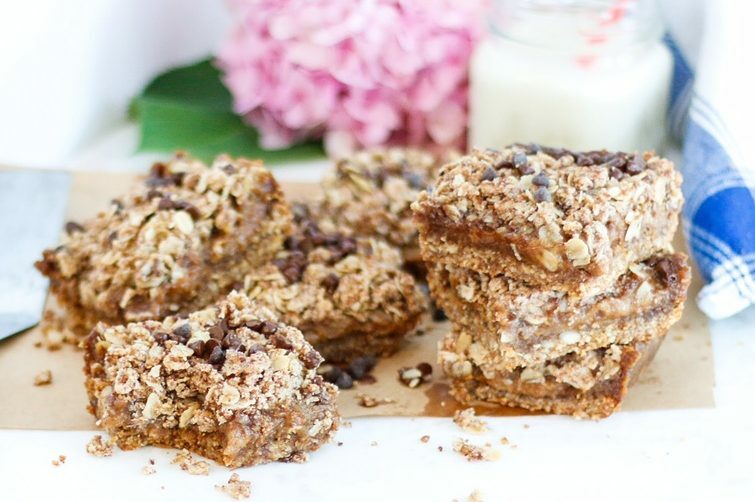 So that justifies eating these Almond Espresso Oat bars first thing in the morning, right? Hey, I won’t judge if you don’t. Plus, during the holiday season, I feel like anything goes. I mean…don’t you just want to take a bite out of this gooey square right NOW?!? 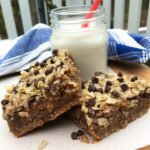 These bars have a nutty-crunchy bottom, sweet-squishy middle, and a slightly crisp chocolatey topping that brings it all together. They’re not an overly sweet dessert, so you feel satisfied, but not heavy after eating one. 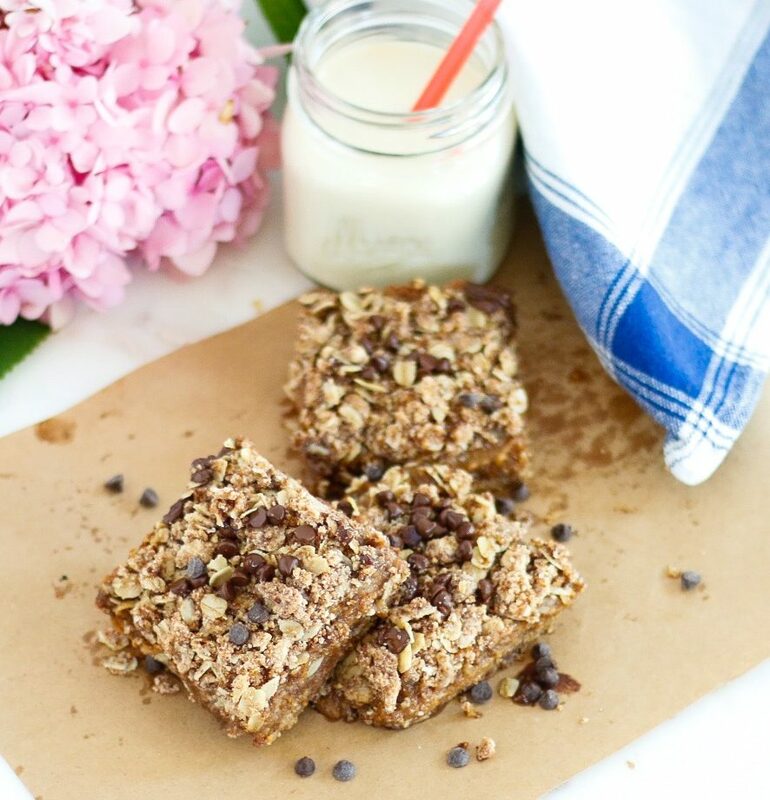 Plus, they’re gluten-free, dairy-free, soy-free, vegan, and sweetened with unrefined sugars. The beauty of unrefined sugars, such as pure maple syrup and coconut sugar, is primarily that they are often lower on the glycemic index, preventing intense spikes in your blood sugar like what processed white sugar creates. Additionally, when unrefined, the sugar maintains it’s natural nutrients like calcium, iron, magnesium, phosphorous, and potassium. 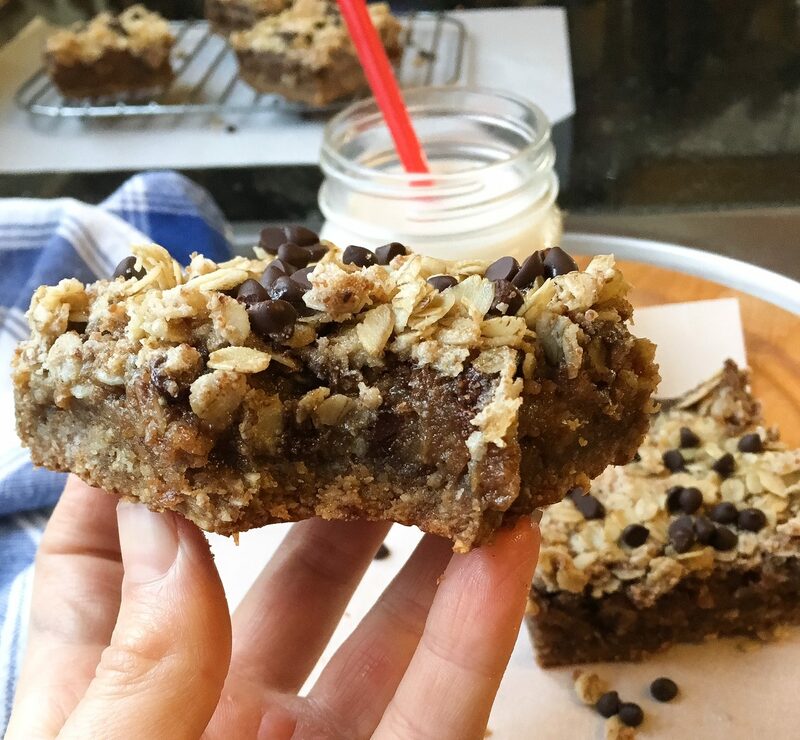 In addition to only being sweetened with wholesome sugars, the almonds used to form the cookie crust are packed with nutrition. Almonds are touted for being a good source of fat, as they have been shown to lower bad cholesterol in the body, while also improving metabolism and digestion by their fiber content and gut-feeding characteristics. A serving of these nuts further provides over 60% of your daily vitamin E needs, the nutrient that sustains the skin and helps reverse signs of aging. 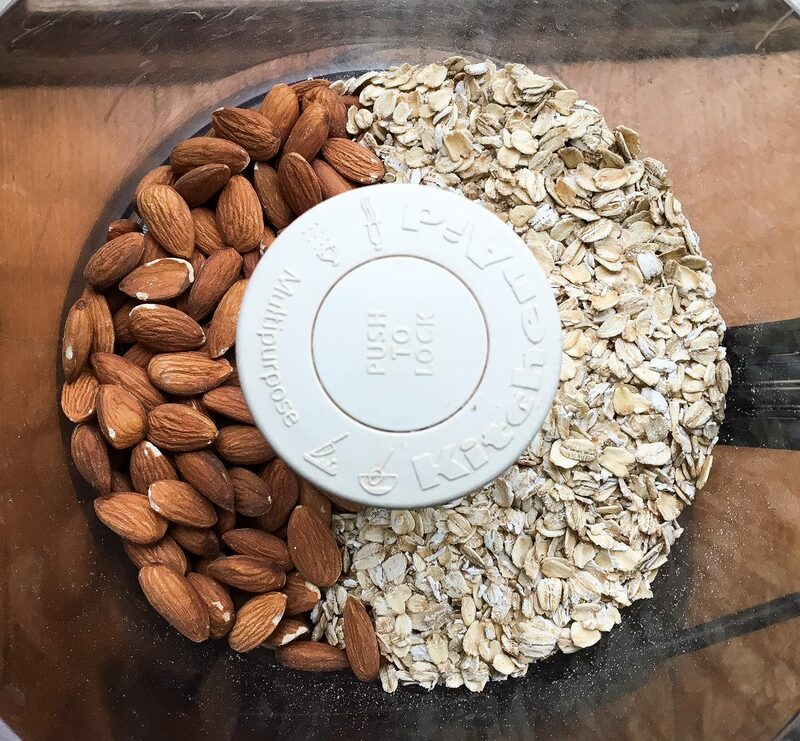 I recently learned as well that almonds contain riboflavin and L-carnitine, two nutrients that support neurological activity and aid in preventing cognitive decline. L-Carnitine also supports fat loss, as it acts as a shuttle to bring fatty acids into the mitochondria of your cells where they can be burned to produce energy. 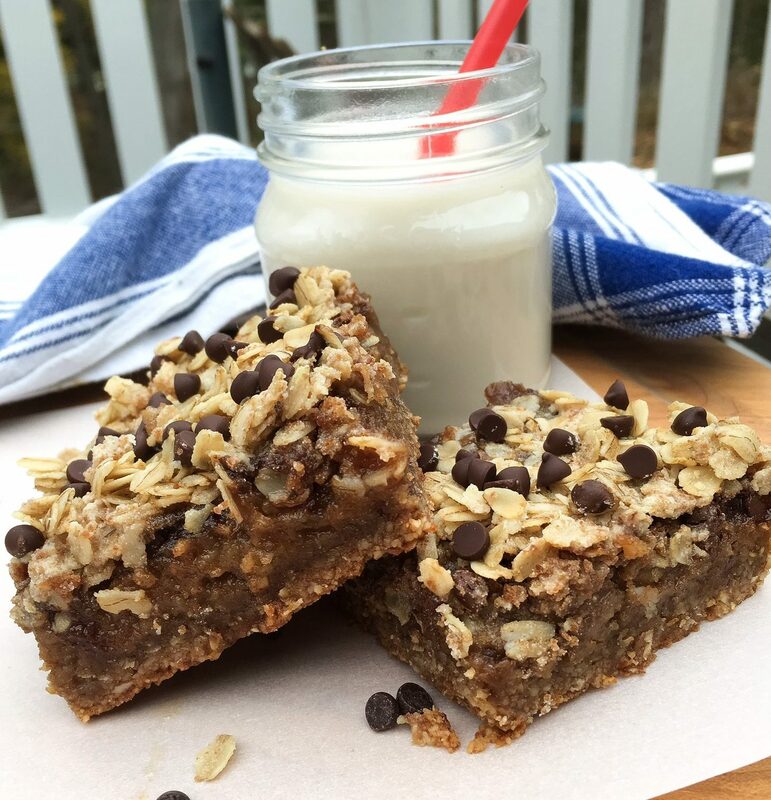 Likewise, oats provide more than texture and a toasty flavor in these bars, adding to the nutritional profile by packing 12 grams of protein and 8 grams of fiber per cup. The fiber in oatmeal is called “beta-glucan” and has been specifically shown to lower levels of bad cholesterol in your body. Additionally, just like the bulgur wheat used in my recipe for Eetch, per cup, oats provide nearly 4 times your daily need of manganese, a mineral that is great for skin health (because it helps produce collagen), bone health, and helps to stabilize blood sugar. Other nutrients provided by this ingredient are phosphorous, copper, biotin, vitamin B1, and magnesium. 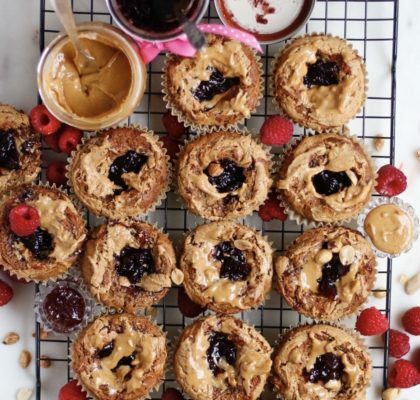 When you’re ready to bake these, start by placing the almonds and oats in a food processor, and pulsing a few times to break into smaller bits. Then, add the remaining ingredients and continue to blend until the pieces are even. Next, start by just adding in the coconut oil and vanilla, running the food processor to get the batter as smooth as you can. For me, I found I needed to add in a couple tablespoons of almond milk to get it to fully come together, but add them one at a time so the dough doesn’t get too liquidy. Press the oat and nut dough firmly into a greased 8×8 pan, then pop it in the oven to get it nice and toasty. 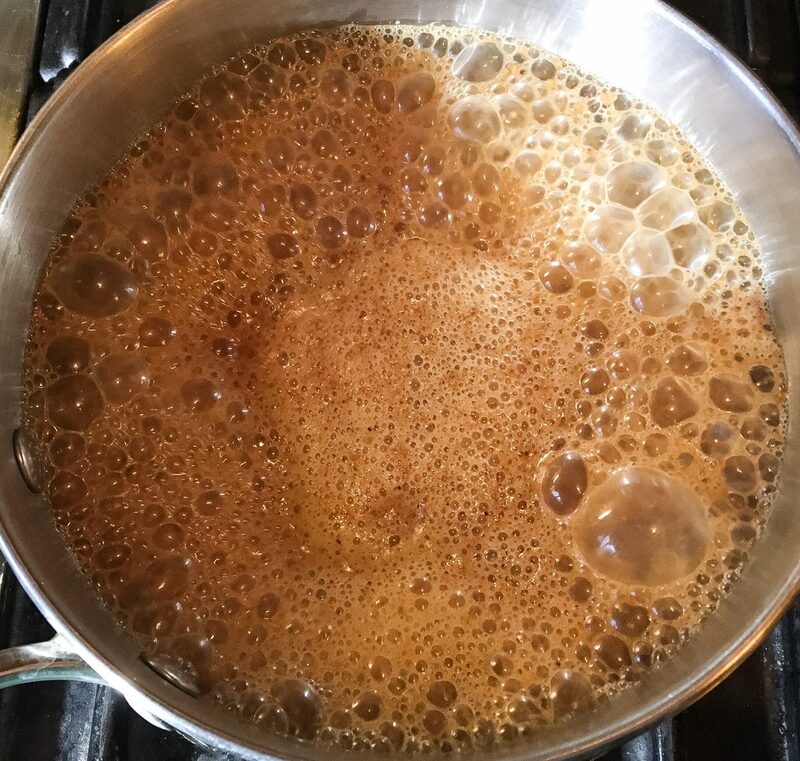 Meanwhile, you’ll start making the caramel by combining all the ingredients of the middle layer in a sauce pot, and bringing it to a boil as shown below. From here, pick the pan up and swirl it around to prevent it from burning and to keep it from overflowing, but don’t use a spoon to stir it. Cook the caramel until it’s smooth, then pour it over the baked cookie crust. 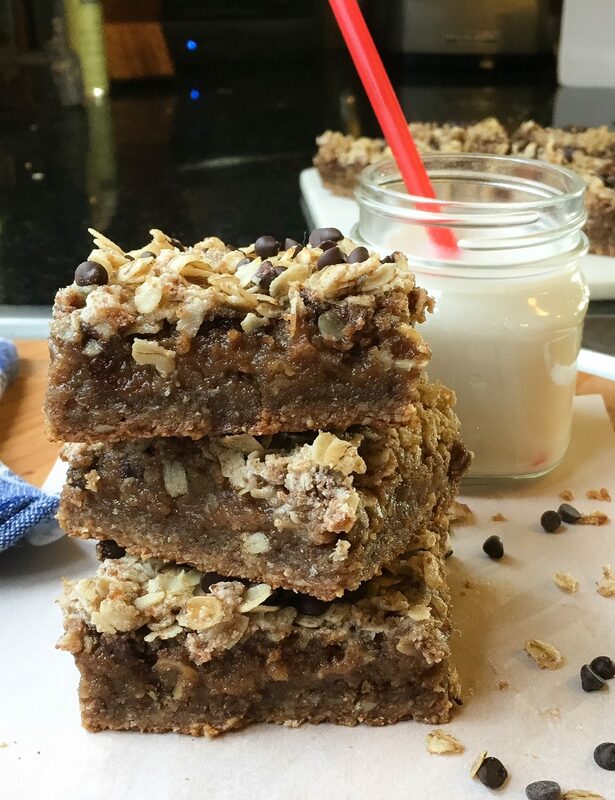 From here, you’ll just need to combine the final layer ingredients until they’re crumbly, sprinkle on top of the caramel, bake the bars, and then wait *patiently* before cutting (I know- it’s tough to not dive right in- but patience is a MUST in this recipe!) 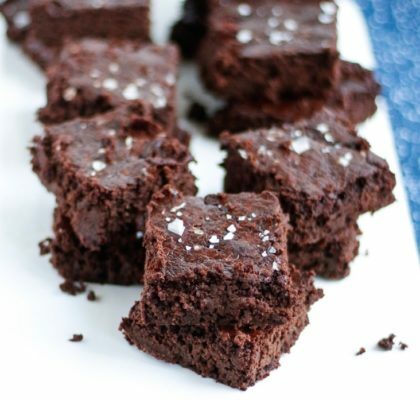 I hope you enjoy these as much as I do- especially when sprinkled with a little course sea salt, I REALLY love them this way! Be sure to let me know what you think of the bars either in the comments below or by tagging me on Instagram. Preheat oven to 350F. 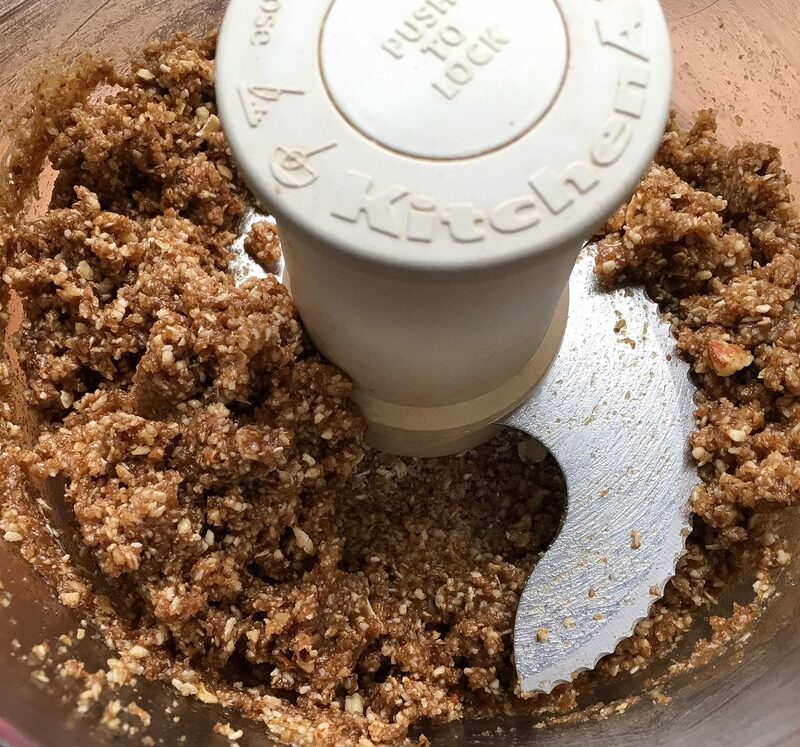 Place all the dry crust ingredients in a food processor and process until an even consistency. Add in the coconut oil, pulsing until a dough forms. Press into a greased 8x8 pan and bake 15 minutes. Then increase temp to 375F and bake 5-7 min, until golden. Meanwhile, place all the ingredients for the middle layer in a small sauce pan and whisk together. Bring it to a boil, swirling the pan but not stirring, to keep it from spilling over. Then, allow to cook over medium heat for 10-15 minutes until it thickens. This layer is like making caramel, so the end result should be a thick liquid. Allow to cool just slightly, then pour over the cooked bottom layer.